Salford City Council is the first organisation in the north west to officially reach a collective agreement to fully implement the national pay agreement. It is all part of the national pay agreement, which introduces a new national pay spine in April 2019. A deal has been reached with the trade unions on transition with a collective agreement signed by all parties on Wednesday 12 December. It will see those on starting salaries of just over £19,000 receive a two per cent increase, in addition to any progression through the pay structure – with those on lower wages receiving a higher increase. Building on the council’s commitment to ensure that the lowest paid earn a fair living wage as an accredited Foundation Living Wage employer. 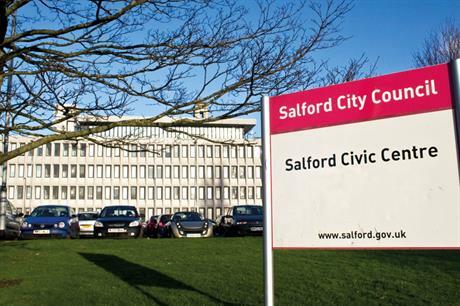 Salford City Mayor Paul Dennett praised the close working relationships of all involved and said: “As a testament to the positive employee relations in Salford we have been working closely behind the scenes with the trade unions to get this deal agreed quickly. “As a Labour council, we are proud of our close working relationships with the trade unions and believe decent representation for our employees is essential for our organisation to serve the interests of the city. “Our employees work tirelessly for the city, and have had to put up with years of budget cuts forcing them to work with less resources, in totally new ways and under a lot more pressure. It is only right and proper that we work closely with the Union to ensure their voices are heard, and they are supported as much as possible.